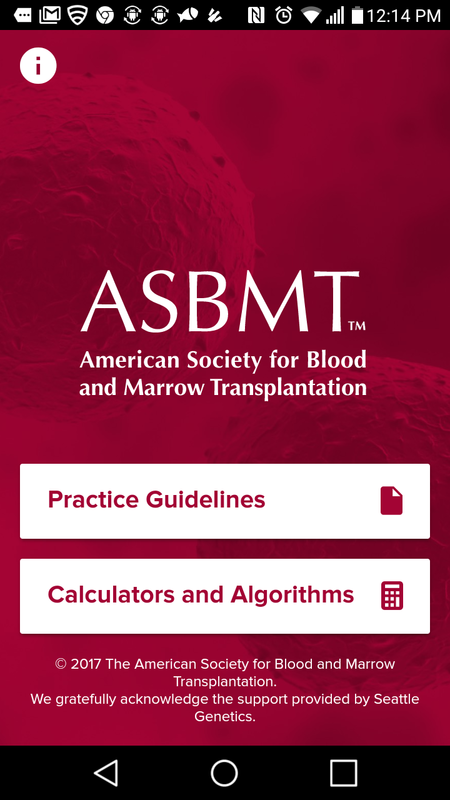 The new ASBMT Practice Guidelines mobile application provides up to date access to practice guidelines, evidence-based reviews and position statements from the ASBMT Committee on Practice Guidelines. These documents are developed and updated by leading experts in the field of blood and bone marrow transplantation and cellular therapy. In addition the app includes clinical calculators relevant to HCT patients. These tools will allow immediate access to information that can help guide clinical decision making. Detailed references and full access to source papers is also provided.